On 22 November, the European Parliament’s Committee on Transport and Tourism and the Industry Committee jointly adopted the Marinescu- Telička- Virrkkunen report on the Connecting Europe Facility proposal 2021-2027. The European Sea Ports Organisation (ESPO) welcomes the demand for an increased budget for transport. Members of the committees voted to raise the general envelope of the CEF transport budget by €7bn to €33.51bn (in constant prices). The significant role of transport for the development of the Union had been equally recognised by the Parliament’s request for a higher CEF transport budget during the vote on the next MFF. ESPO particularly appreciates the recognition of the cross-border potential of port projects. 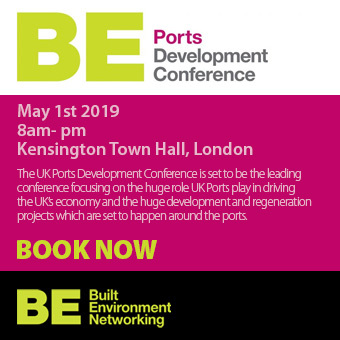 Port projects, which are carried out in one Member State, can nevertheless have a substantial cross-border impact, by enhancing connectivity on the sea side, or in the hinterland beyond the borders of a single Member State. For the first time, the Commission proposed to include an envelope for military mobility in the transport budget. With their vote the Committees have strengthened the civilian priority of dual-use projects eligible under this priority, which addresses one of ESPO’s main concerns. ESPO welcomes the broadening of the scope from the exclusive focus on enabling the movement of military troops and equipment, to also cover investments in cyber security resilience and for security and civil protection purposes. ESPO remains concerned about the priorities listed in the Annex. Both, Motorways of the Sea (MoS) as a horizontal priority, as well as all maritime and port projects, which are included in the current CEF priorities, have been deleted from the listed priorities. ESPO considers the maritime dimension of the TEN-T network, and ports as the strategic links between waterborne and land-based transport, as fundamentally important for the connectivity within Europe and with third countries. This importance should be better reflected by the Connecting Europe Facility 2021-2027. The vote of the European Parliament has been scheduled for the December plenary. The negotiations between Council and Parliament are expected to start early 2019.